As Yuvraj Singh prepares to start his second innings in international cricket after his successful battle with cancer, Sachin Tendulkar says the "champion" has set a great example for not just fellow sportspersons but all those suffering from the disease. 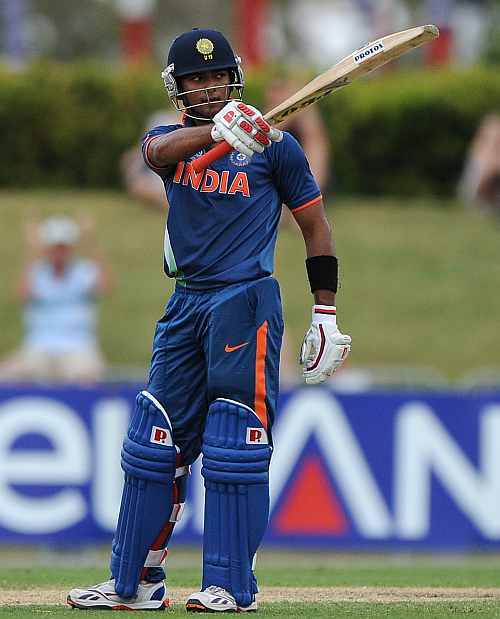 "He's undergone those tough treatments and those tough sessions and he's back in the Indian cricket team. So he's set a great example not only for the sportsman to follow but for a common man suffering from cancer. I think he's set a great example," Tendulkar said. Calling him a champion, Tendulkar remembered Yuraj's heroics in the 2011 World Cup. "To me he's a champion — once a champion will always be a champion. 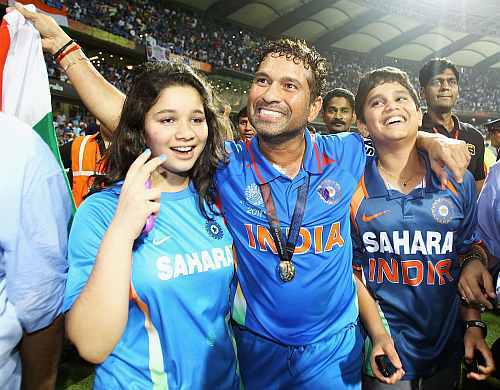 "I was really happy that he got the Man of the Series, Man of the tournament in the World Cup and then yes, he had health problems", Tendulkar told CNN-IBN. "And then again, as I said he's a champion and he proved it and he's addressed those issues with the help of the doctors and every possible thing which a cancer patient should do he's done," he said. Tendulkar was impressed with the India colts' triumph in the Under-19 World Cup recently, and picked captain Unmukt Chand for special praise. "Yeah, I mean to be honest, I haven't seen much of him (Unmukt). But whatever I have seen I've really liked. I got to spend some time with the U-19 team before they left for the World Cup. "It was a fantastic experience to share my thoughts with the team and also to watch them play fabulous cricket. "They really played well. They played well as a team. In fact, when the Hyderabad Test was on while getting ready in my room I used to switch on the television to watch the game and that would continue till we reached the dressing room. We saw the finals but brilliant, they really batted well", he said. "And with the help of some brilliant performances, individual performances, Unmukt has really done well in the finals. It was fantastic moment to watch them celebrate that victory once they got the trophy. The celebration was superb," he added. Talking about his best knock in 2011, a year which saw India winning the World Cup that was followed by the team's disastrous tour to England, Tendulkar chose the one he scored against South Africa in Cape Town at the start of the year. "My best knock in 2011, I would say I scored a 100 in Cape Town in the 3rd Test in South Africa. I think I scored a 140 plus so that's got to be the most challenging knock of 2011. "The wicket had bounce and movement and when I look back I feel that one session I played with Gautam on the 3rd morning (and) for 55 or 57 minutes we didn't rotate the strike. I mean that was the quality and standard of bowling, It was really high and one of the enjoyable sessions that I find most challenging session that I have been part of." On the Indian team's performance in the year gone by, he said it was a "special year". "2011 was a really special year, especially the first half. The first half we won the World Cup, which was the ultimate thing. I waited for 22 long years to lift the trophy. "That evening was really special, you can only dream of such things and when they turn into reality, you're speechless." He also spoke about the outings in England and Australia. "England tour wasn't that great for the team. There were individual good performances but when you look at the team it wasn't a great tour for us though immediately when England came to India we showed them the other side of the coin. "There were moments where we felt that sort of in the driving seat (in the Melbourne Test), but they slipped away from us. We were not able to grab them." 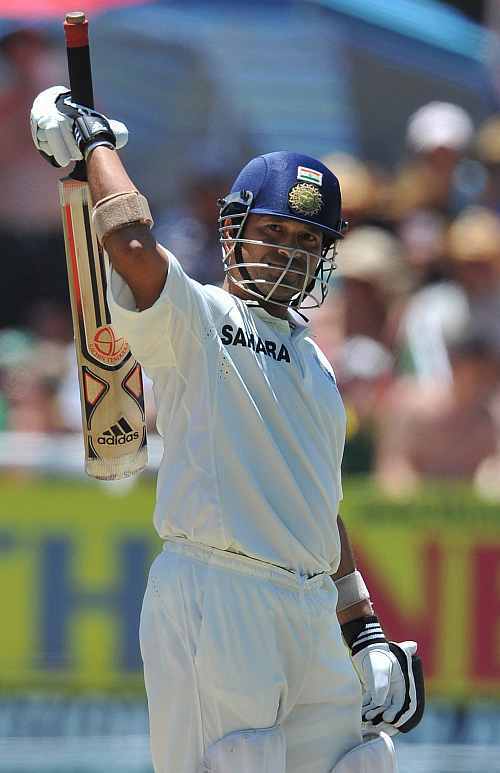 On records and the 100th hundred, Tendulkar said, "Well, I know that this will only happen once in my entire life. I can't get another award for that. Records are meant to be broken. I'm happy that it has happened."